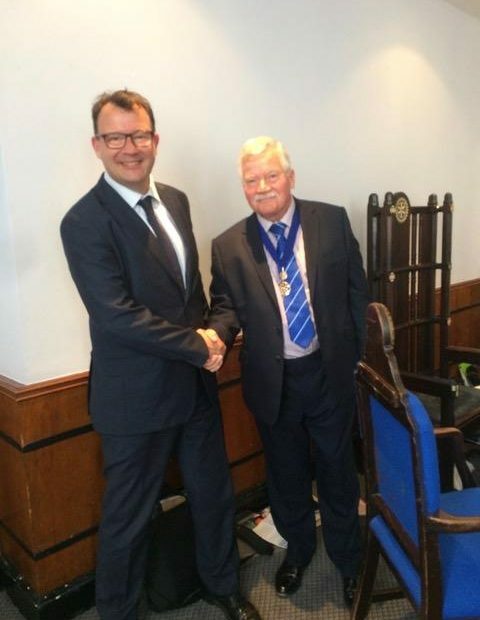 On 9th July 2018 President Colin welcomed Ed Cufflin as a new member of the club. The President’s chosen charity for this year is Leicester Charity Link. The target is to raise £20,000 via events arranged throughout 2018-2019. 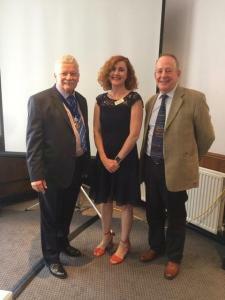 Colin is pictured with Sue McEniff of Charity Link and club secretary Clive Smith.